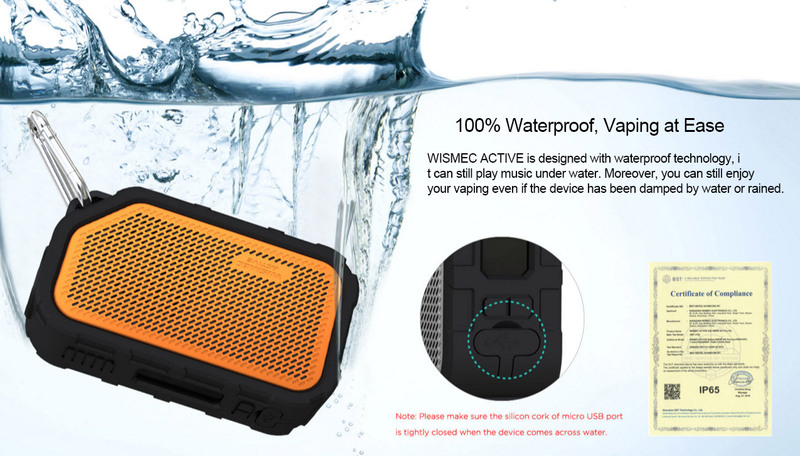 Thread: Not Only The Three Proofs Device But A Blue Tooth Speaker - Wismec Active! It is Covered by the unique silicone case, supports shockproof and waterproof, which means it can still play music under water. Moreover, you can still enjoy your vaping even if the device has been damped by water or rained. 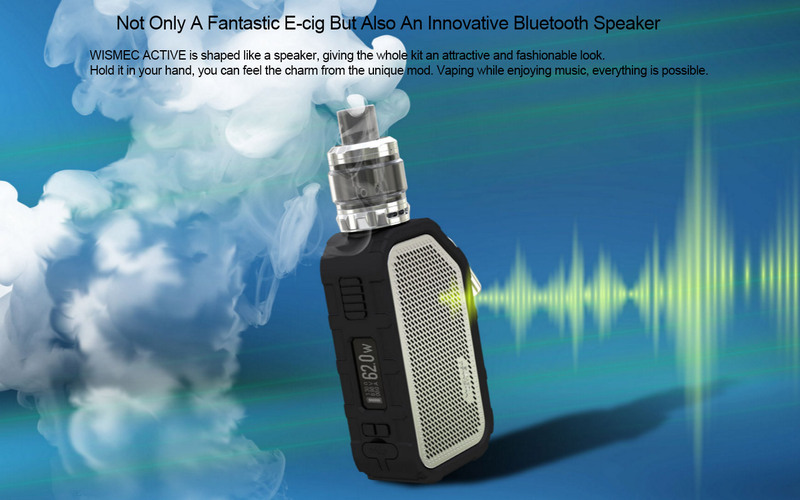 Powered by a 2100mAh built-in battery, the Active Kit can fire up to 80W max output and it supports VW/Bypass/TC-Ni/TC-Ti/TC-SS/TCR mode. On the front of the kit, there is a 0.91inch OLED screen shows essential information. As for the including Amor NS Plus Tank, which has 4.5ml e-liquid capacity, and its most important character is the brand-new WS04 MTL 1.3ohm coil head, which is optimized for high nicotine and nic-salts e-liquid. The unique design of the atomizer head will offer you intense flavor and wonderful MTL vaping enjoyment. By the way, the tank also features top refilling and bottom airflow.